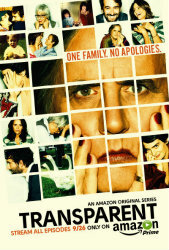 TRANSPARENT season 2 will launch on December 4, Amazon announced during the show’s Television Critics Association panel. As the show embarks on its sophomore season, “Maura is not the central figure, but the gateway figure…[and season 2’s stories] come from this decision to be authentic,” TRANSPARENT star Jeffrey Tambor (Maura) teased. Will you be tuning in for TRANSPARENT’s second season? Amazon has renewed its original series TRANSPARENT for a third season. Additionally, TRANSPARENT creator Jill Soloway has signed an overall deal with Amazon Studios, where she will develop additional projects for Amazon Prime. TRANSPARENT’s first season is currently streaming on Amazon , with the second set to bow this fall. Are you excited for more TRANSPARENT? TRANSPARENT debuted on Amazon less than two weeks ago, and the response was so impressive, Amazon Studios already made the call to renew it for a second season. Season 2 of TRANSPARENT will bow sometime in 2015. TRANSPARENT: Check Out New Photos From Season 1, Plus, a New Trailer! Comments Off on TRANSPARENT: Check Out New Photos From Season 1, Plus, a New Trailer! 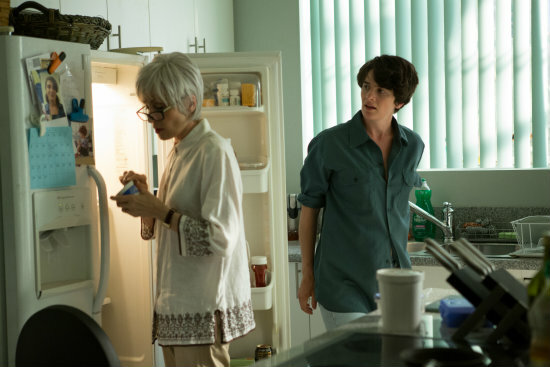 A big day for the upcoming Amazon series, TRANSPARENT: not only did it get a release date (September 26th), but Amazon Studios has also released a new trailer for season 1, as well as photos. Amazon Prime Instant Video will launch all of ten episodes of TRANSPARENT season 1 on September 26th in the US and UK, Amazon Studios announced. Amazon has officially ordered four of it newest adult pilots, and two of its children pilots to series, as well as renewing ALPHA HOUSE for season 2, the studio announced today. Amazon debuted five adult pilots last month for viewers to watch and rate, and now, according to Variety, they’ve picked up four shows to series. Comments Off on Amazon Releases Its Second Batch of Pilots — Watch Them All Now For Free! Amazon has once again released all of the pilots for its upcoming “season” on its site to leave the decision of what they pick up in the hands of the potential viewers. Tags: Amazon, BOSCH, Chris Carter, GORTIMER GIBBON'S LIFE ON NORMAL STREET, HARDBOILED EGGHEADS, MAKER SHACK AGENCY, MOZART IN THE JUNGLE, THE AFTER, THE JO B. & G. RAFF SHOW, THE REBELS, TRANSPARENT, WISHENPOOF!